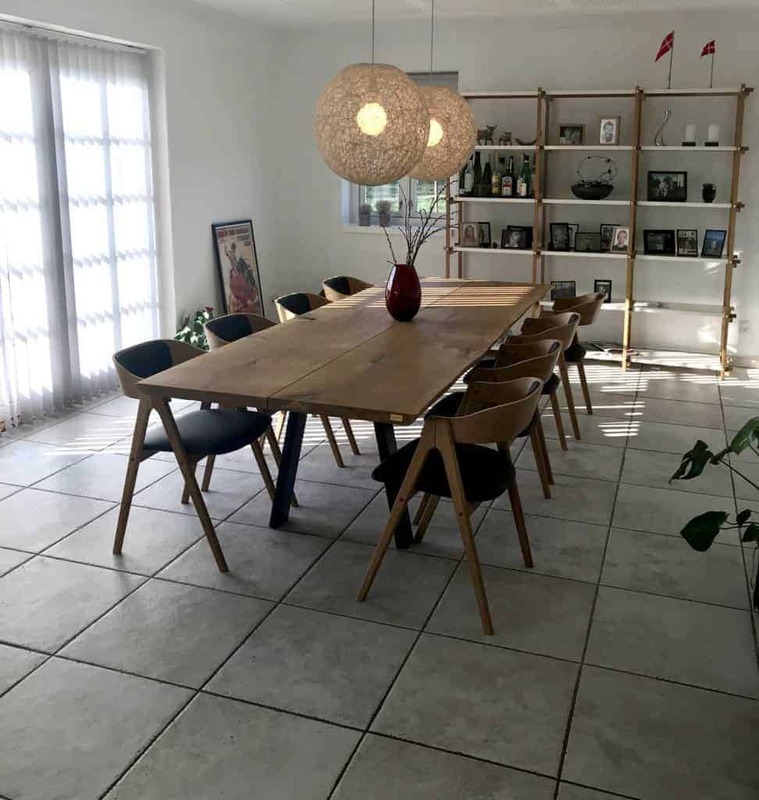 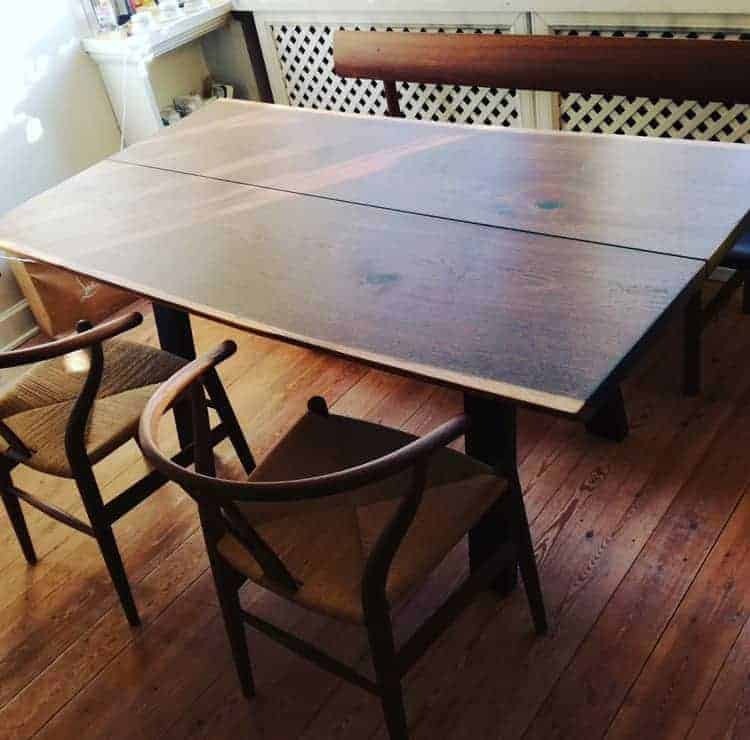 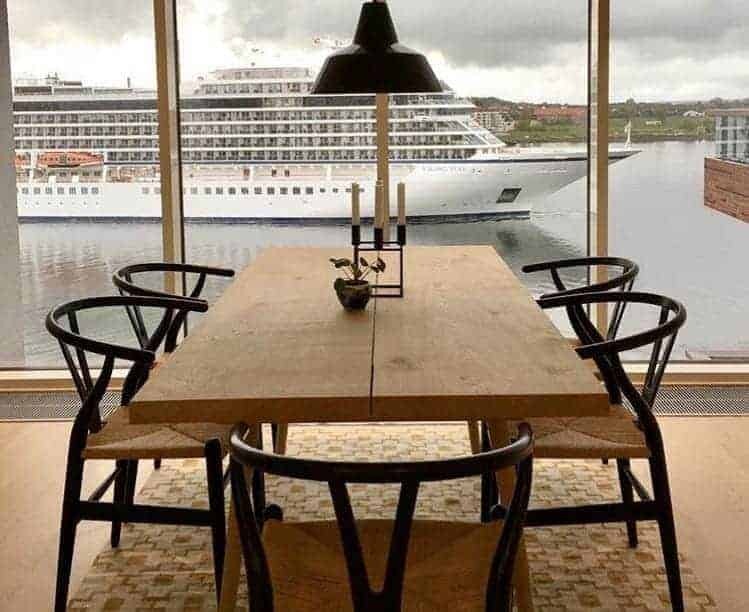 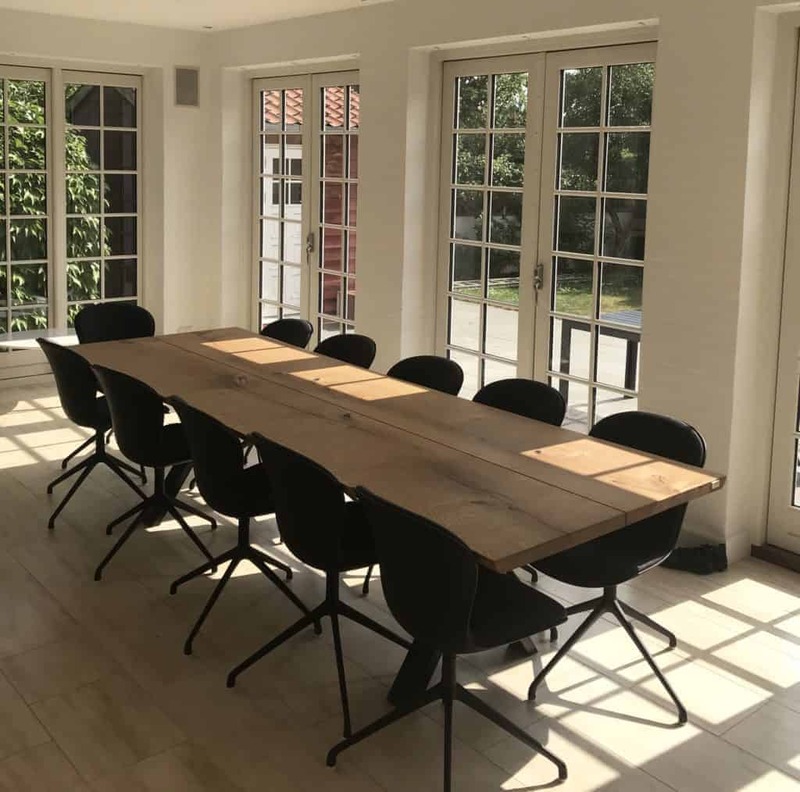 Kærbygård offers exclusive oak tables made from the best trees on Funen. 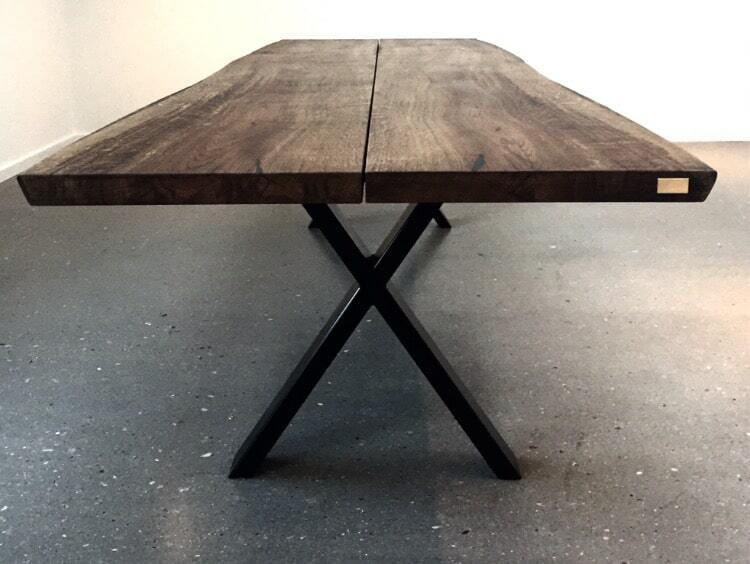 An oak table has a natural and robust appearance. 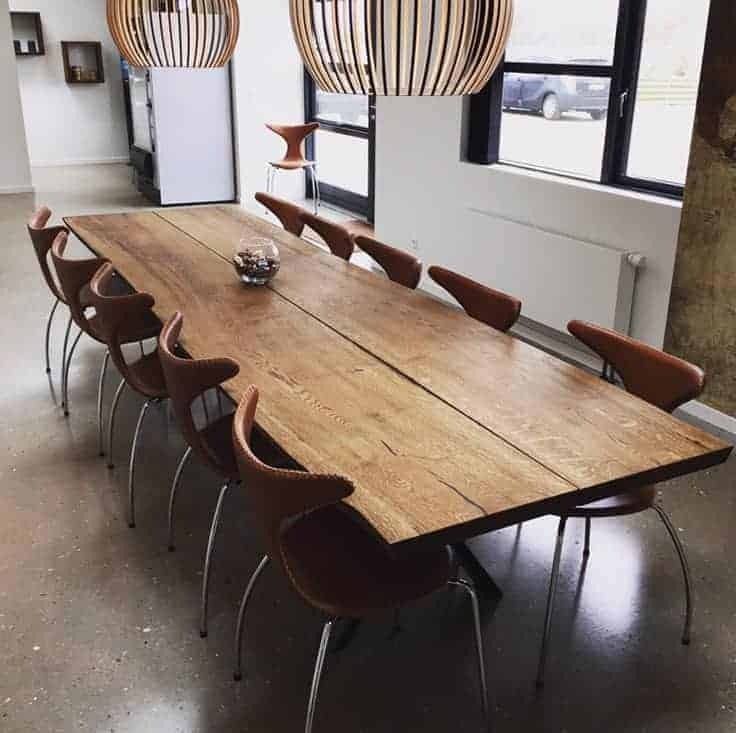 When you order an oak table from us, you can decide its shape and design, so it fits perfectly with the rest of your interior. 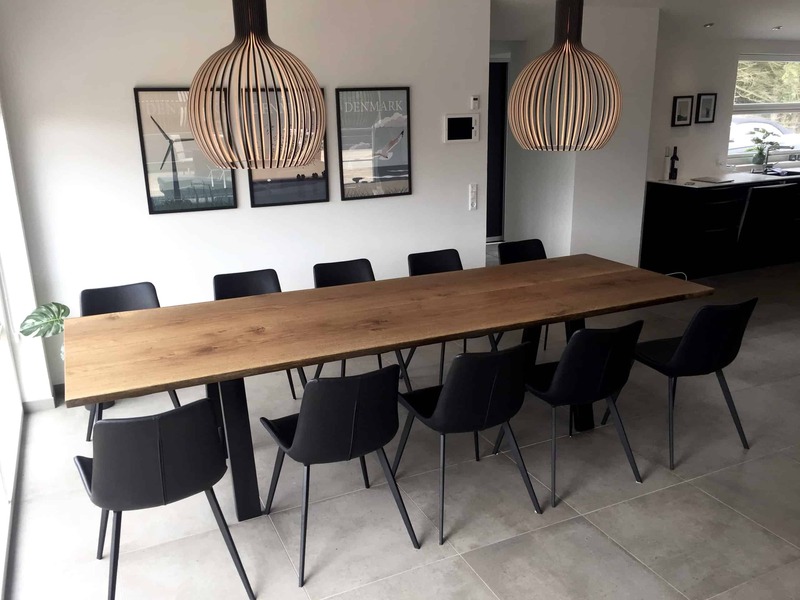 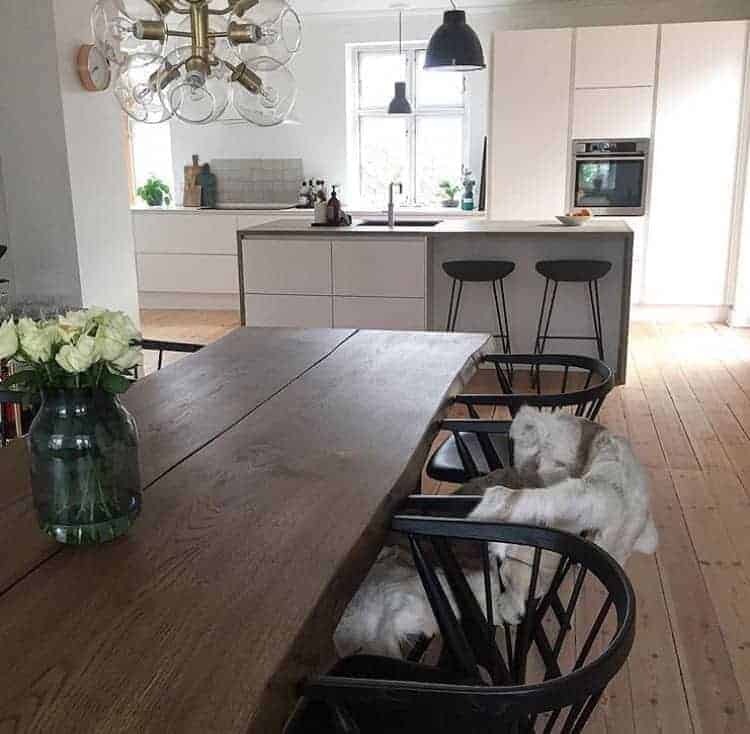 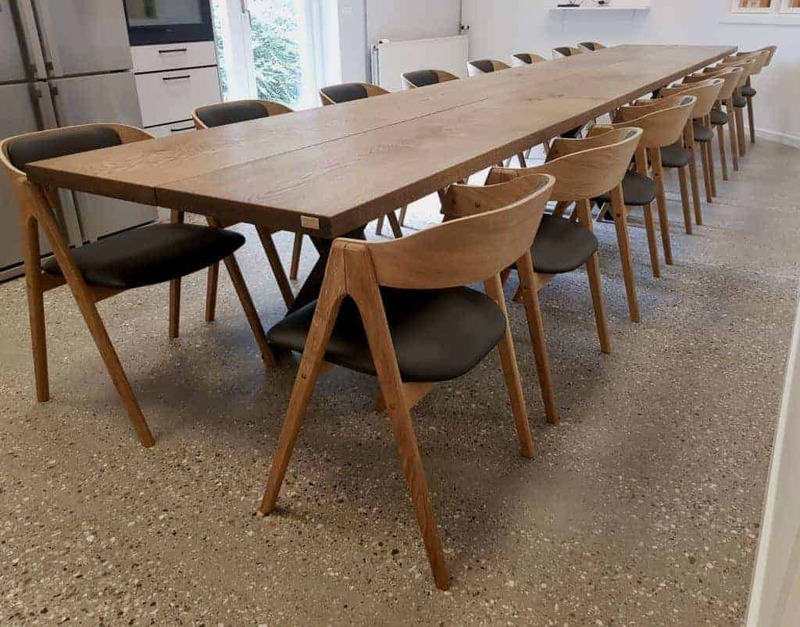 When you order an oak table from Kærbygård, the wood is carefully selected to give your table the perfect natural expression. 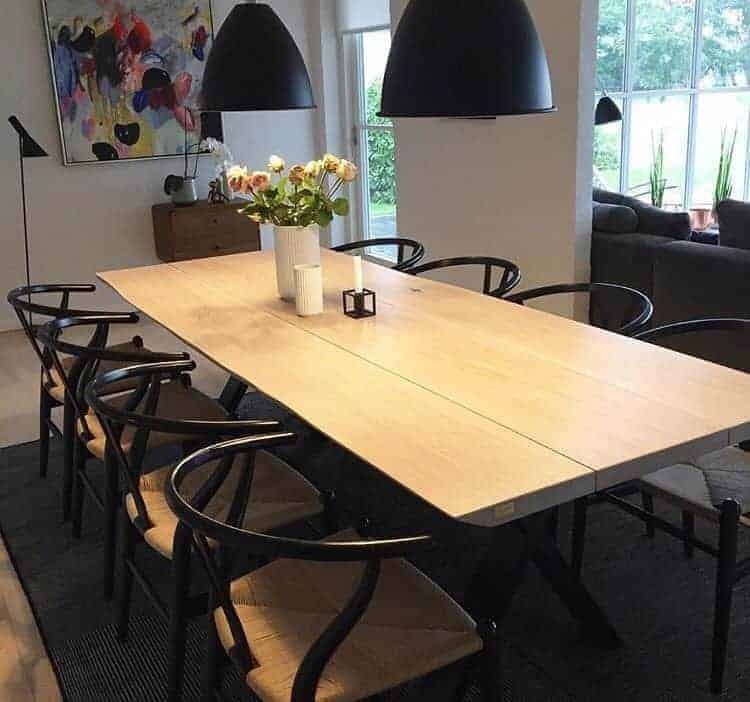 We want to deliver a great buying experience, and we try to achieve this by including our customers throughout the process. 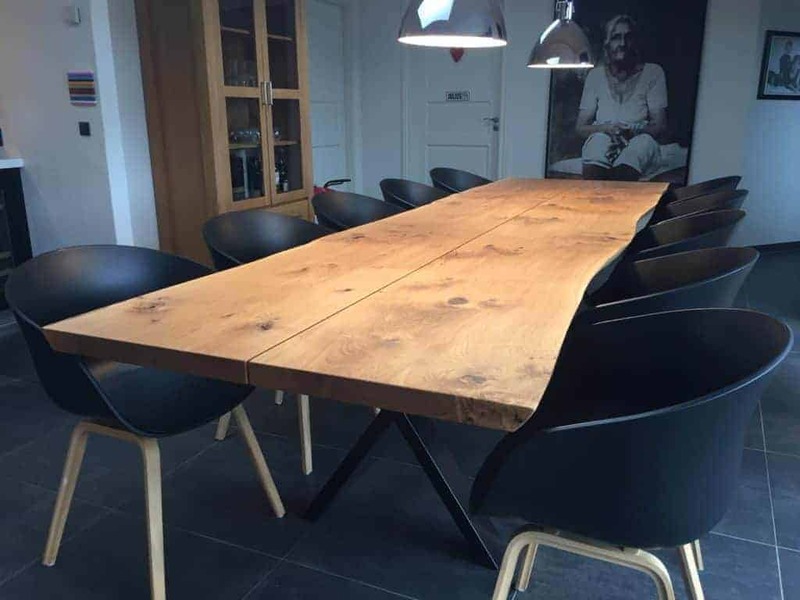 The oak trees are cut, and the timber is then dried in the open air and in a kiln before turning into a table top. 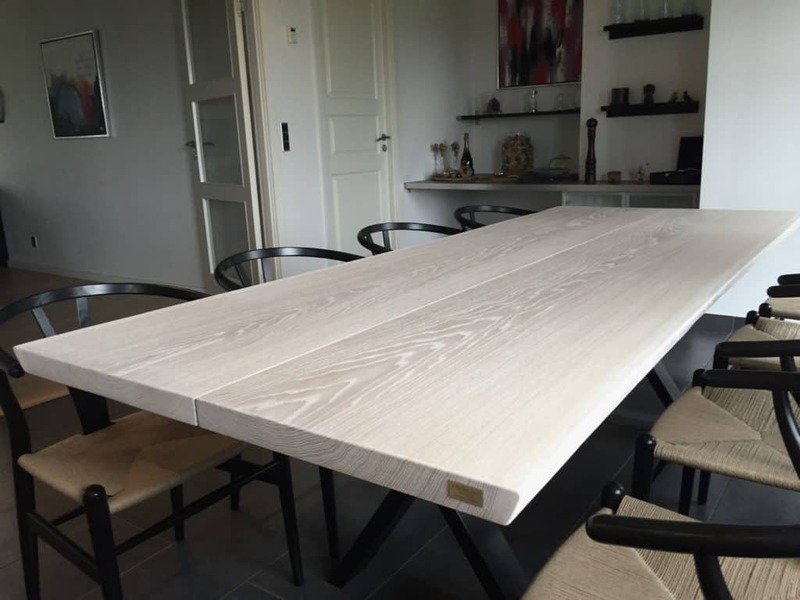 This process ensures the table won't break when it acclimatizes in your home. 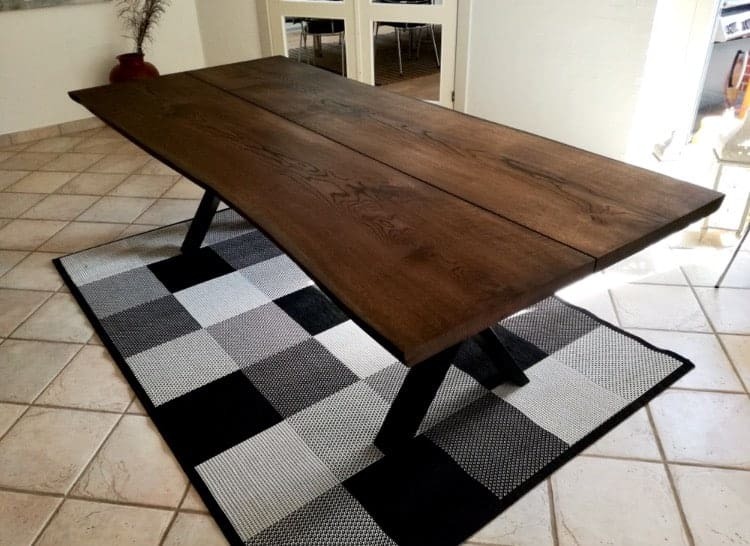 Only the best or most unique planks are selected to become table tops. 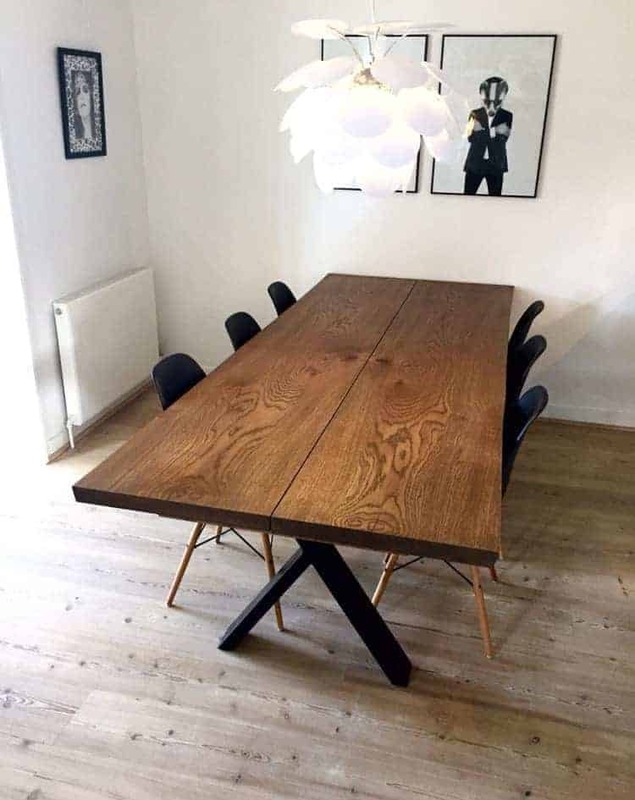 All our planks have different appearances, making all oak tables from Kærbygård unique. 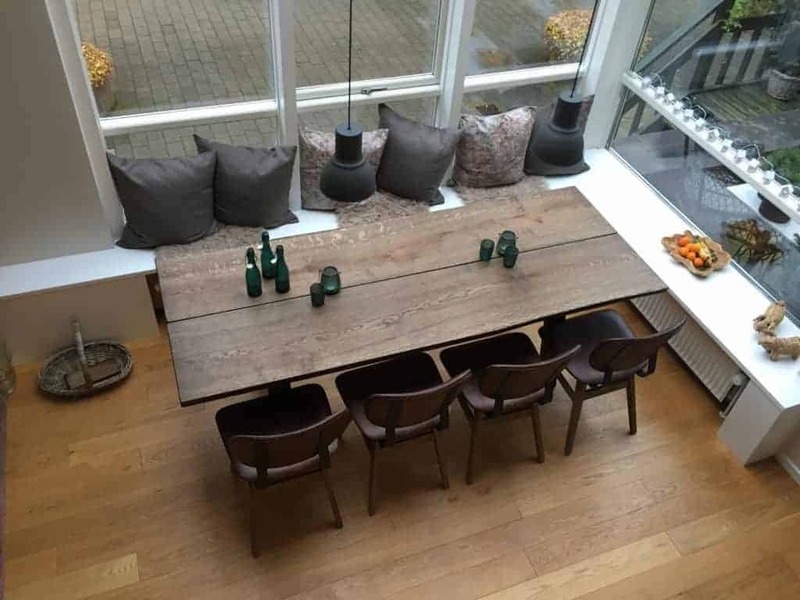 You can participate in the selection of the planks for your oak table. 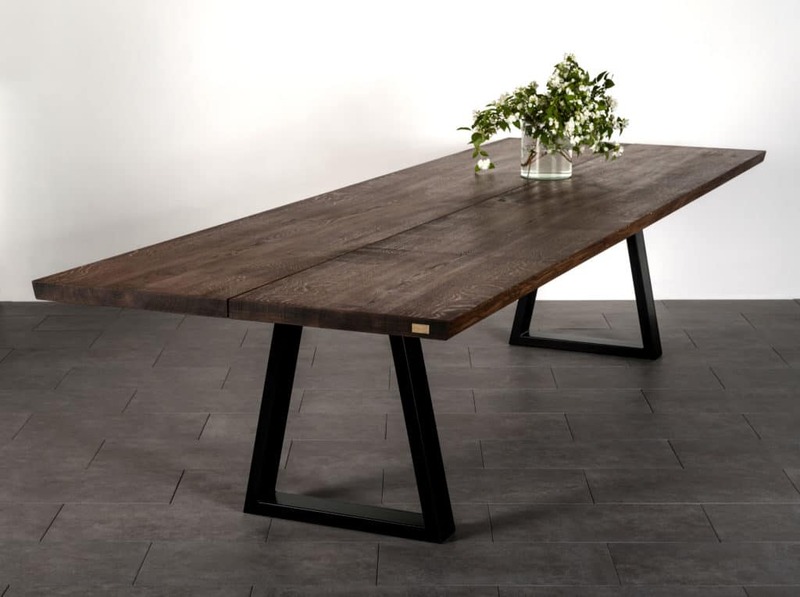 After the table has been constructed, you can decide which kind of surface treatment you want for your table. 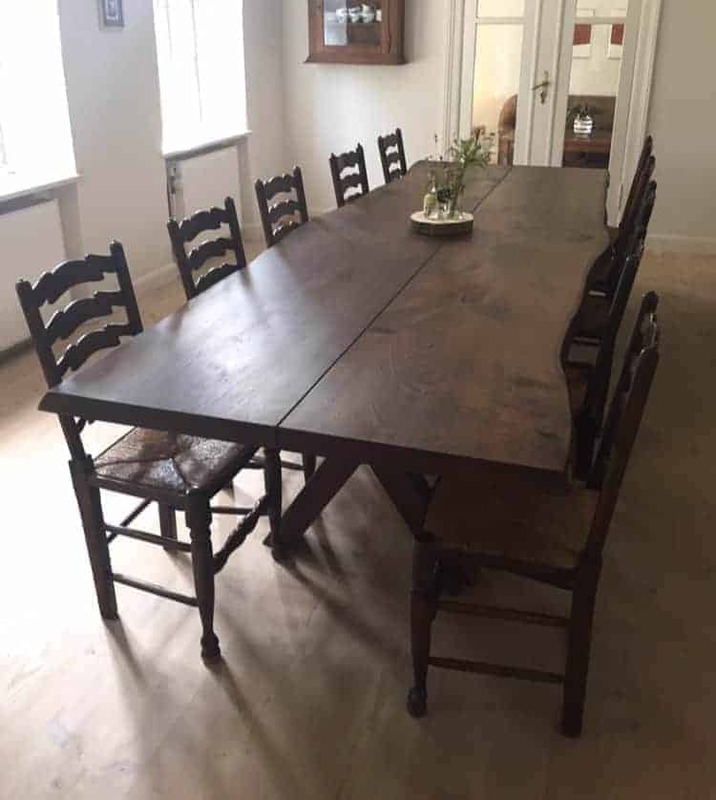 We have several different treatment methods but mostly use wood oil to give the tables the desired appearance. 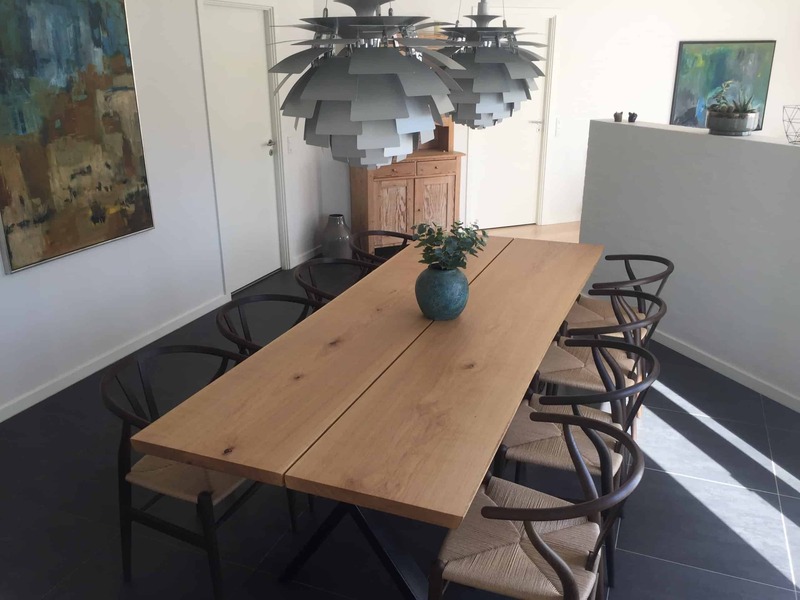 In the final step, you select table legs for your oak table. 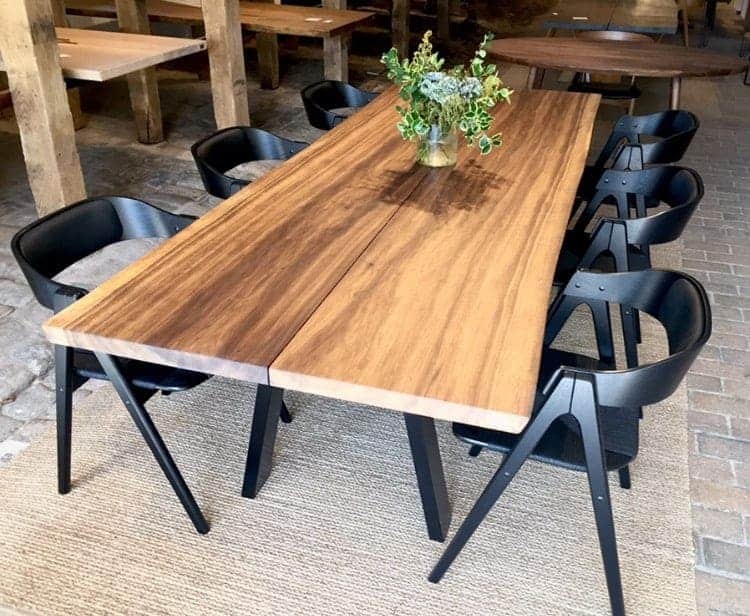 Because our focus heavily lies on unique and customized designs, table and table legs are ordered separately. 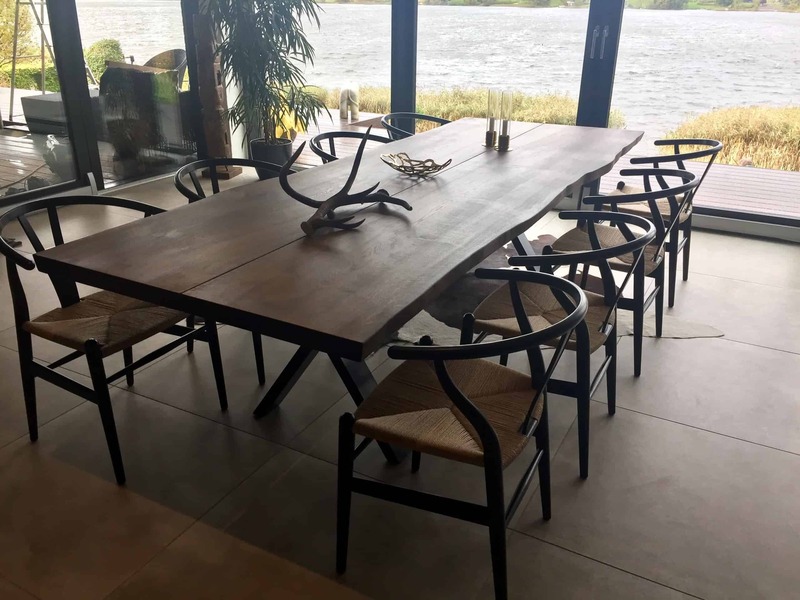 We have a wide range of different table legs, including table legs in wood and steel, as well as table legs in different colors and designs. 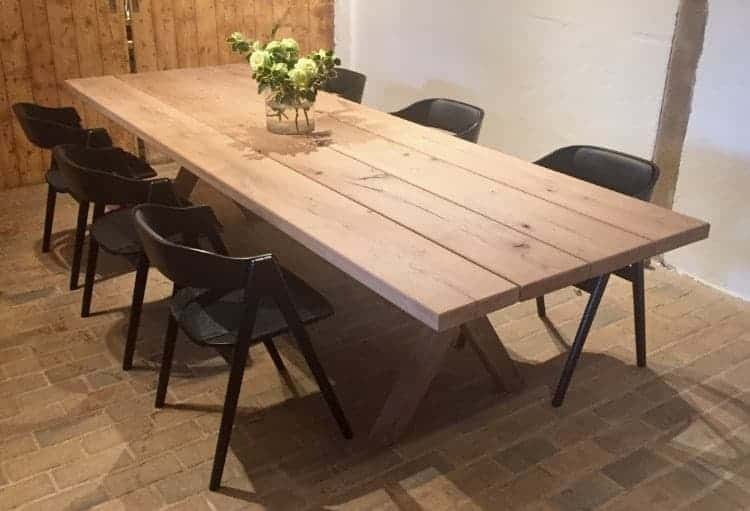 We believe you should be able to see that our tables are made of natural wood. 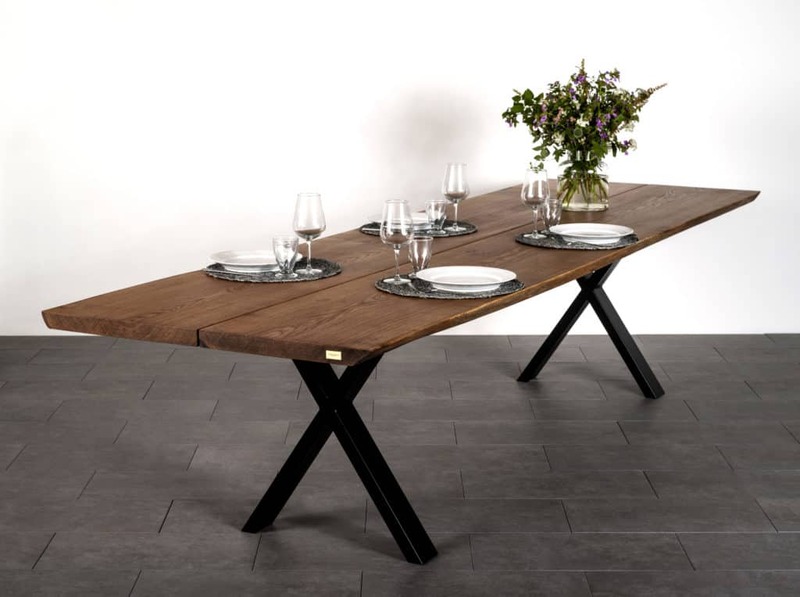 Therefore, we aim to make the natural origin of every table as obvious as possible. 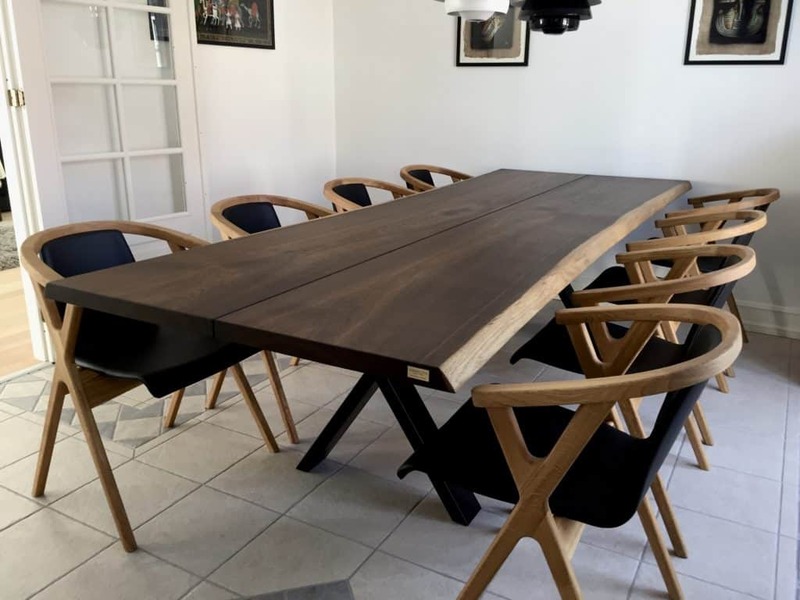 This also brings forth the tables’ individual uniqueness, giving you a special table, whether you are looking for a streamlined shape or an unusual one.